Urgent action is needed to tackle the "mountains" of e-waste building up in developing nations, says a UN report. Huge amounts of old computers and discarded electronic goods are piling up in countries such as China, India and some Africa nations, it said. India could see a 500% rise in the number of old computers dumped by 2020, found the survey of 11 nations. 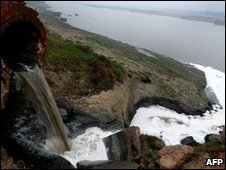 Unless dealt with properly the waste could cause environmental damage and threaten public health, it said. The report gathered information about current levels of e-waste in 11 nations and also looked at how those totals might grow in the next decade. Globally, e-waste is growing at a rate of about 40 million tonnes per year as consumers, in both developed and developing nations, buy new gadgets and discard their old ones. Many of the older items end up in developing nations. 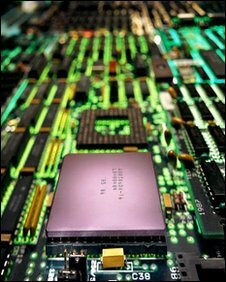 By 2020, China and South Africa could see e-waste generated by old computers rise by 400% by 2007 levels. In a decade, estimated the report, e-waste from mobile phones will be seven times higher in China and 18 times higher in India. Some nations are happy to take in e-waste to use in order to extract some of the precious materials and metals that go into making modern consumer electronics. For instance, said the report, in an average year global production of mobile phones and computers uses 3% of the silver and gold mined, 13% of the palladium and 15% of the cobalt. However, it found, in some places efforts to extract these metals are inefficient and do not do enough to handle the hazardous materials recovery produces. For instance, it said, e-waste treatment in China typically involved back yard incinerators which were a wasteful and polluting way to recover precious materials. "China is not alone in facing a serious challenge," said Achim Steiner, executive director of the UN Environmental Programme (UNEP) which issued the report. "India, Brazil, Mexico and others may also face rising environmental damage and health problems if e-waste recycling is left to the vagaries of the informal sector." The report said Bangalore in India was a good example of how local initiatives could reform the gathering and treatment of e-waste. It urged nations such as Brazil, Colombia, Mexico, Morocco and South Africa to set up state-of-the-art e-waste treatment centres now, while the amounts they produced were relatively small. "One person's waste can be another's raw material," said Konrad Osterwalder, rector of the UN University. "The challenge of dealing with e-waste represents an important step in the transition to a green economy."